On January 14th the SpaHive hosted a SpaHive Member Appreciation event at the Norwich Spa at Foxwoods. During the event we announced the winner of the first Annual Danielle Knerr Spa Leadership Award. Danielle Knerr was a wife, mother, daughter, sister, friend and mentor. Danielle worked at the Spa at Norwich Inn in Norwich CT for over 18 years and served as Spa Director. 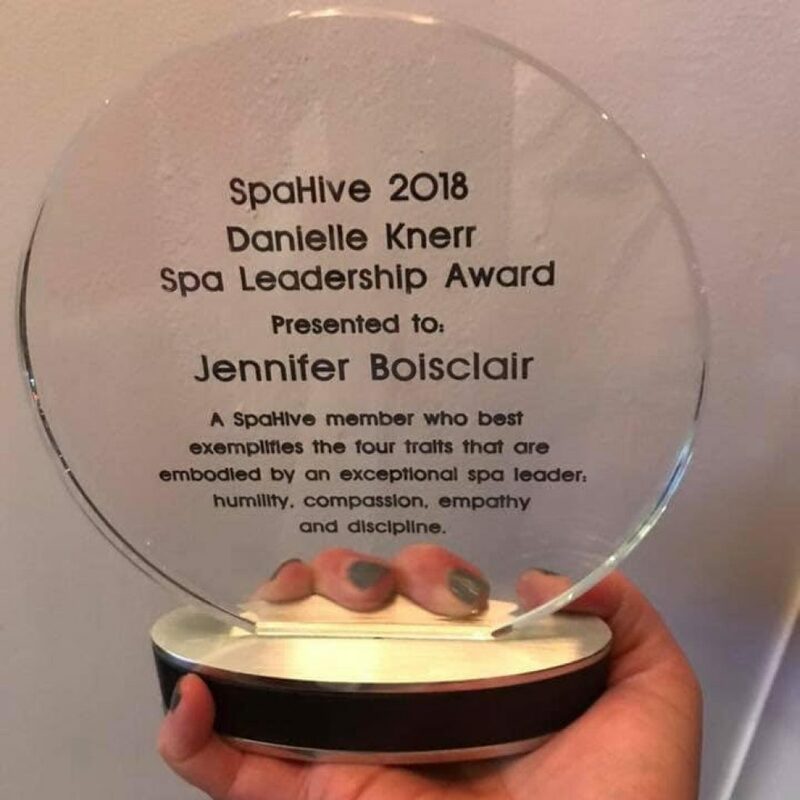 Danielle was a true spa leader and it was my great honor to create an award in her memory so that we may honor other leaders in our industry that exemplify the four traits of an exceptional spa leader; humility, compassion, empathy and discipline. The recipient of the first Annual award was Jennifer Boisclair from the Norwich Spa at Foxwoods, coincidently and serendipitously.